Hello! It's finally time to start sharing my projects with the brand new Simon Says Stamp Good Vibes Release! YAY!!! Such a fun and happy release - just like the name implies! 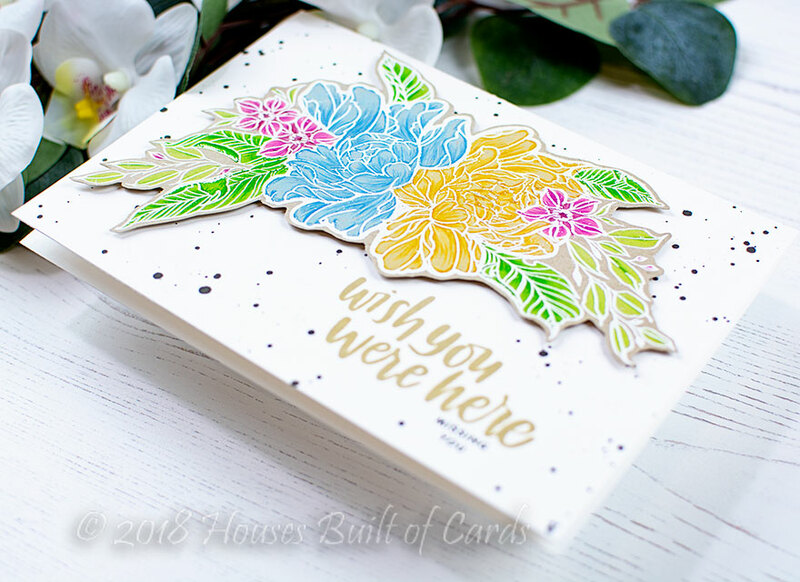 I have a feeling you will be seeing lots of the stamp set that I used on the card I thought I would kick off with - a GORGEOUS and unique floral set - definitely a unique and different feel to this image! I should also note that it is HUGE! This isn't an A2 card - it is actually a 5x7 card! I'm glad I did - because I ended up being happy with the end result! 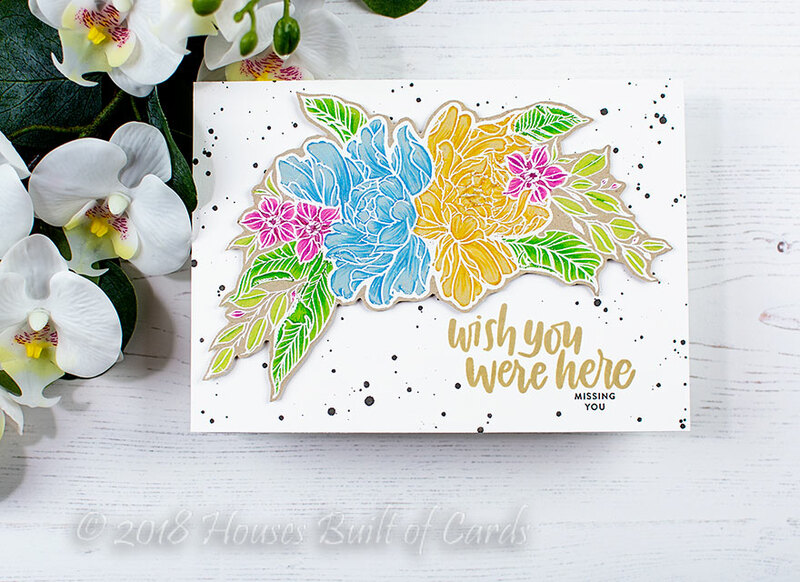 I created a 5x7 cardbase, and stamped my sentiment on there using another NEW stamp set called Vacation Time, and stamping in Khaki ink for the main sentiment, and in black for the mini one. I slightly masked that part off, then added a healthy dose of black splatters on the card base. While that dried, I fussy cut out the floral arrangement (I didn't have the dies on hand) - then mounted that with foam adhesive. All done! Make sure and go check out the new release HERE - and come back on Thursday when I will be part of Day 1 of a fabulous blog hop to celebrate - and there will be giveaways too! 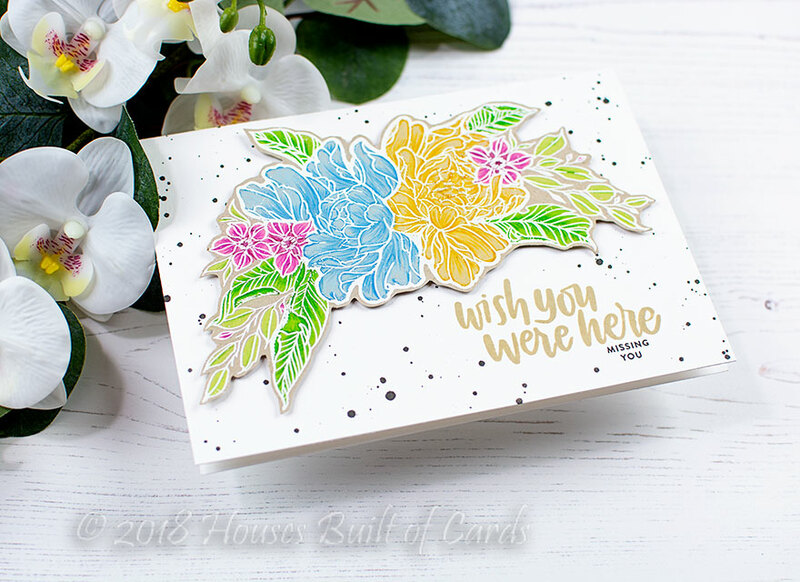 And finally - if you are looking for inspiration, make sure and heat to the permanent gallery for all things from the Good Vibes collection, and add your own projects as well! You can find it HERE! Gorgeous cards! I love the flowers! !